Read this incredible email from Knotty girl Paige T., telling the story of her battle with trichotillomania – compulsively pulling out one’s hair – and her victory over this condition through dreadlocks. “Come January 7th, my dreadlocks will turn four years old. They have been an amazing experience the entire time through, and I hope to sport them well into the coming decades. 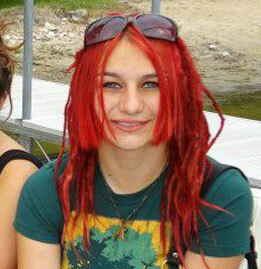 I did however think it might be time to share why my dreadlocks are so very special to me.